EVENTS: Following Virgin Hyperloop One’s latest project updates at the 2018 Middle East Rail conference, Leanne Wheeler, Senior Consultant for North Star Consultancy, shares with airrail NEWS how we must learn to look past the hype of hyperloop in order to be ready for the day when it changes everything. Last year’s Middle East Rail conference saw Virgin Hyperloop One make some big promises to a technically minded and expertly sceptical rail audience. Slick, beautifully created marketing presentations envisaged a futuristic landscape where pods would zoom at speeds in excess of 1000km/h (671 mph) through perfectly straight metal tubes, providing seamless, point-to-point travel between neighbouring cities at record speeds in order to redefine regions. As Virgin Hyperloop One continued its worldwide sales mission throughout 2017, the plaudits came thick and fast. “London to Edinburgh in just 50 minutes!” claimed The Telegraph. “No two GCC cities more than one hour apart!” boasted Gulf News. Yet the audience at the rail conference that day was left partly enthralled, partly bemused and entirely ready to challenge. Was Virgin Hyperloop One in danger of selling nothing more than hype itself? Since last year’s conference Virgin Hyperloop One has made significant strides in terms of real, tangible progress. The proof of concept was established in May with the world’s first successful test run in a fully constructed loop located in the Nevada desert. The organisation received a large boost when Sir Richard Branson invested in the company and became Chairman of its Board. As the firm seeks further investment to develop its technology, the weight of Branson and the Virgin brand can only help move the commercialisation agenda forward. That said, no one can deny that concerns over the safety and feasibility of hyperloop still exist. How can we predict if hyperloop is still set to achieve the aim of offering a transformative new travel mode that will redefine the boundaries of cities and regions as we know them? The answer lies in drawing lessons from the past and specifically the launch of commercial air travel, which developed enormously over the course of a series of technological leaps throughout the 20th century that nobody could have foreseen. Ultimately, through recognising that we do not yet have all the answers and being careful to set realistic expectations in spite of the hype, we can in fact lend ourselves more easily to believing the long-term vision. The technology has been proven; it simply needs time. The world’s first scheduled commercial airline flight occurred on January 1st, 1914 when a Benoist Type XIV biplane piloted by Antony H Jannus carried former St. Petersburg Mayor A. C. Phiel for a short hop across Old Tampa Bay in Florida. The flight lasted 23 minutes, with a maximum airspeed of 64 mph and flew at a height of just 50 feet. Whilst we would scoff at this in terms of today’s aviation, it was ground-breaking at the time. 35 years later, at the end of World War 2, the Jet Age was born. A British de Havilland Comet became the first commercial jet engine to fly in 1952. Boeing developed its 707 airliner and completed the first transatlantic flight in 1958 and the world’s first jumbo jet (the Boeing 747) revolutionised air travel once more in 1970. Without even considering other technological leaps such as supersonic jets regularly exceeding speeds of Mach 2 and man’s rocket-fuelled adventures into space, it is clear with hindsight that that one short flight across the Old Tampa Bay in 1914 paved the way for incredible progress. Compare this to hyperloop successfully reaching speeds of 374 km/h (250mph) on its very first test run. Who could possibly foresee how hyperloop technologies could develop over a similar timespan of 100 years? Whilst it is easy for technical experts to dismiss hyperloop entirely and point out its seemingly many challenges, it must be remembered that there are no greater gifts than hindsight and time. Let us not forget for example, that former President of the Royal Society and esteemed physicist Lord Kelvin himself declared in 1895 that “heavier-than-air flying machines are impossible”. At the time, such a leading expert in the field of science would scarcely have been challenged. Yet, we now know how wrong he was. The success of air travel has been phenomenal, arguably transforming the world as we know it. The current focus on hyperloop must therefore, not be on questioning whether 1000km/h+ speeds are indeed possible or whether we will one day be able to nip to New York for a Yankees match and be back in London for breakfast. We cannot let the dream cloud the reality. It must be on developing the technology to operate safely at sub-optimal speeds and implementing hyperloops in places where real benefit can be gained by the technology as it operates in its current form. All we really need to know right now is the best base from which to make the next leap forward. 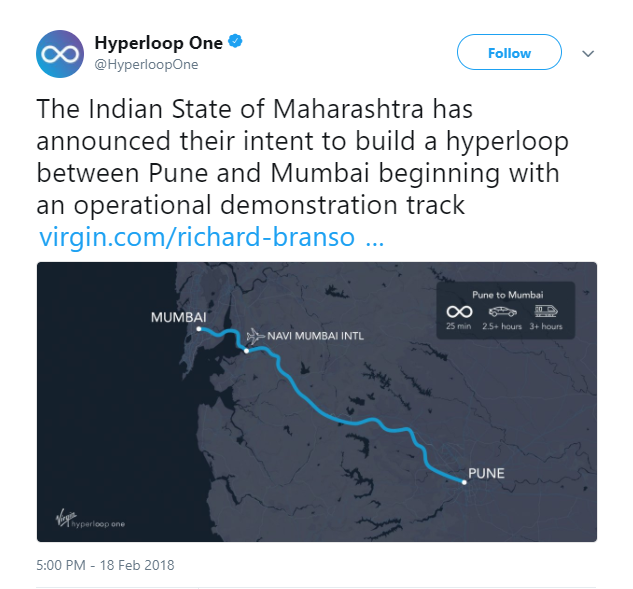 An excellent example of an answer to this conundrum comes courtesy of the Mumbai – Pune corridor in India, where Virgin Hyperloop One recently announced that is has signed a binding agreement with the State of Maharashtra to develop a hyperloop between the two cities within the next five - seven years. Not only is the route planned to operate at slower speeds but crucially, the route map contains curves! It could be said that this represents an admission on the part of Virgin Hyperloop One that its marketing maps filled with straight shiny lines between A-B are unrealistic. If this is the case, then this provides a reassuring hint of actual, tangible progress. Virgin Hyperloop One and other companies developing hyperloop technologies would do well to focus their efforts in countries similar to India, where saturated cities are separated by vast expanses of relatively flat terrain. This will afford the opportunity to build and refine the required infrastructure at reduced cost in comparison to heavily built-up cities (compare this to the London – Birmingham HS2 route, for example, where the infrastructure and tunnelling costs would be entirely prohibitive). One of the key difficulties facing Virgin Hyperloop One and its competitors is that they must drive private investment in hyperloop by creating excitement, without risking a loss of confidence in their products by making claims that seem at best, too futuristic, or at worst, technically impossible. For all the buzz that the shiny marketing presentations, promises of 1000+ km/h and idealistic journey time calculators based on straight lines create, we must learn to readjust our expectations and support the gradual development of hyperloop through incremental steps. Otherwise there is a real risk that hyperloop will, for a long time, exist in the realm of extreme and super-futuristic sci-fi, only to be believed by the devoted few and left to be derided by the pessimistic (and some may say realistic) many. The certain truth is that hyperloop technologies are developing as we speak. Now that the technology has been proven, it can only get better, faster, safer and cheaper. UK: From 20th May the current Heathrow Connect service between Heathrow Terminals 2/3, Heathrow Terminal 4 and Paddington will be transferred to Transport for London (TfL), the Mayor of London Sadiq Khan has announced. Special single fares will apply for journeys to and from Heathrow Airport and, for the first time, customers will be able to use pay as you go with Oyster and contactless across the route all the way from Paddington to Heathrow. As part of the integrated service, daily fare capping for Oyster and contactless and weekly fare capping for contactless will apply, with travelcards that cover Zone 6 able to be used on services to Heathrow. For daily and weekly capping, Heathrow will be designated as "Zone 6", meaning that "pay as you go" customers travelling to and from the Airport from within Zones 1-6 will never pay more than the daily cap of £12.50. This will significantly reduce the cost for families travelling to Heathrow via Paddington, and mean that, from May 2018, a family of four (two adults and two children under 11) will save more than £10 travelling from Paddington to Heathrow. Mayor of London, Sadiq Khan, said: "For Londoners going to Heathrow, many of the benefits will be felt in a matter of months, with Oyster, Contactless, and cheaper fares coming in when TfL takes over the service from Heathrow Connect in May." Mike Brown MVO, London's Transport Commissioner, said: "The railway will provide many new direct journey options between Canary Wharf, central London and Heathrow Airport, and will cut journey times dramatically and ensure London remains a world-leading city." From May, TfL Rail services will operate two trains an hour between Paddington and Heathrow using the existing Heathrow Connect trains, an identical frequency to now. A further two trains an hour will run between Paddington and Hayes & Harlington using the new Elizabeth line trains, replacing part of the Great Western inner suburban route. Testing is underway to allow TfL to introduce the new Elizabeth line trains to the airport. John Holland-Kaye, Heathrow's Chief Executive said: "The opening of the Elizabeth line will help make travel to the airport more accessible and sustainable for millions of passengers and colleagues. This service, along with new rail connections to the south and west and HS2 through Old Oak Common, will put Heathrow at the heart of an integrated transport network, reduce traffic around the airport, and improve local air quality." MALAYSIA – Express Rail Link Sdn Bhd (ERL), the operator of KLIA Ekspres and KLIA Transit services, unveiled its new KLIA Ekspres train with an exciting new livery based on Songket Malay textile art motifs. At the same event, Minister of Transport, YB Dato’ Sri Liow Tiong Lai also announced an increase in frequency on KLIA Transit during peak hours, effective from 14th March 2018. ERL bought six new trains from Changchun Railway Vehicles Co. Ltd (CRRC Changchun) of China back in 2014 to accommodate the strong demand and improve passenger comfort. All six trains have now been delivered to ERL. The commissioning and testing process has been completed for one KLIA Ekspres train and two KLIA Transit trains. The latest train livery blends traditional motifs with a vibrant colour splash, producing a unique contemporary design that represents the innovative spirit of the company. “The additional new trains bought by ERL offers a better value proposition which is important to attract more people to use public transportation. 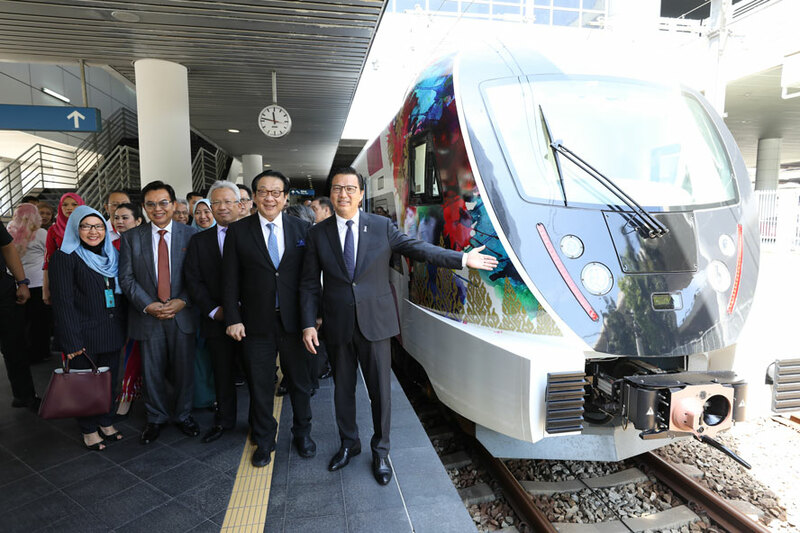 It also complements the Government’s commitment to improving land public transport infrastructure, quality of service, and first-and-last mile connectivity,” Dato’ Sri Liow said. The additional services on KLIA Transit during peak hours will significantly benefit commuters and air travellers alike. Train departures will be improved to every 15 minutes during morning and evening peak hours on weekdays (from 6am to 9am, and from 4pm to 7pm) from the current 20-minute intervals, putting it on par with the KLIA Ekspres service. UK: Over 12.5 million passengers use rail, coach or bus to access the London Stansted Airport each year, confirmed MAG at the annual Stansted Area Transport Forum. 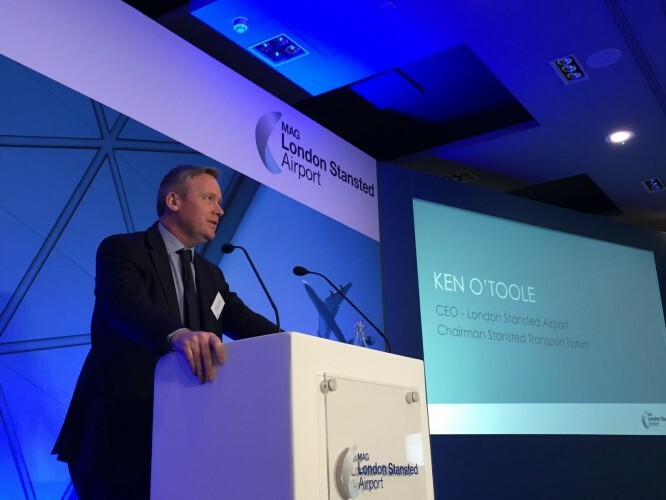 London Stansted’s Chief Executive Officer, Ken O’Toole provided updates on the airport’s ambitious five-year investment programme to transform airport facilities, the centrepiece being a new £130 million arrivals terminal. According to O’Toole, £100,000 was invested into the partnership with Arriva to provide the next generation of energy efficient buses on key routes to Bishop’s Stortford and Harlow, as well as £150,000 to support the Airport Commuter Centre and travel card which has helped push the number of staff using public transport to around one third of the airport population. "Increasing the number of passengers we serve to 43 million over the next decade will require close collaboration with all transport providers, and an integral part of our transformation and growth plans is to ensure these passengers also have a first-class door-to-door experience with our partners. We are already ahead of the curve in many areas. For example, brand new, longer Stansted Express trains with more seats will start to be introduced from next year; coach routes are growing in choice and frequency and improvements to local roads and highways are gathering pace," O'Toole said. According to the Managing Director of Greater Anglia Jamie Burles, last year Stansted Express achieved its highest ever share of journeys to and from the airport with over 30% of travellers accessing the airport by train. "Customer satisfaction with the Stansted Express is at 93% and during 2019/20 we will introduce brand new trains on the service, which will offer an even higher quality service with more seats and superfast wifi, to provide a further step change as the airport continues to thrive and passenger numbers increase still further," Burles said. 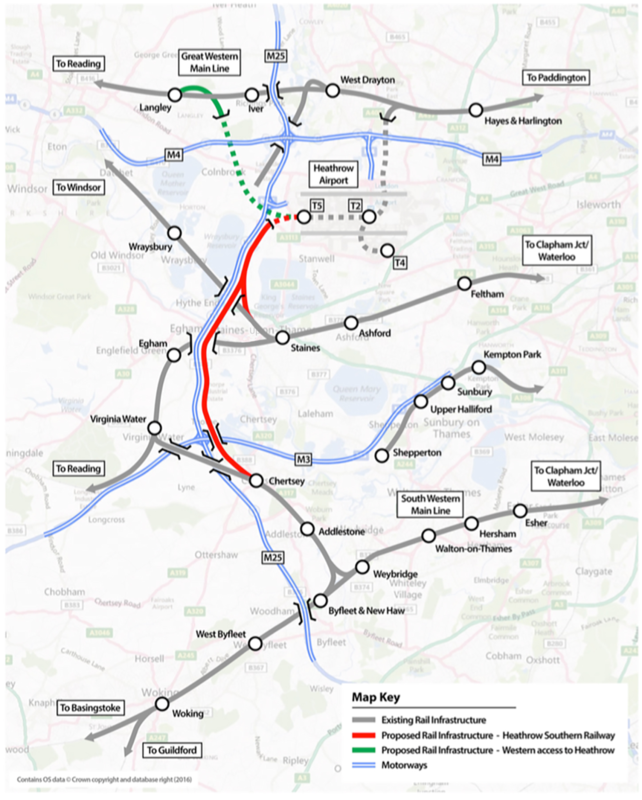 UK: London based engineering consultants Expedition have developed a proposal for a new high speed railway connecting Gatwick and Heathrow Airports. HS4Air (High Speed for Air) is a new high speed railway that connects the existing HS1 rail line to the planned HS2 railway along a route that passes via both Gatwick and Heathrow airports to the south and west of London. HS4Air also includes a connection to the Great Western Main Line railway (GWML) to the north of Heathrow airport. According to Expedition, HS4Air would offer fast direct rail access to both Gatwick and Heathrow airports from major UK cities to the north and west of London. Rail passengers will be able to travel directly to both airports on fast regular services from cities such as Birmingham, Manchester, Leeds and Cardiff without any need to change trains. It will also offer a 15-minute journey time between Gatwick and Heathrow airports using a dedicated high-speed shuttles between airport stations on the HS4Air railway. HS4Air is estimated to cost approximately £10bn. RUSSIA: During the first three months of operation, the new Aeroexpress double-decker trains carried an estimated 845,000 thousand passengers. A total of 459,000 passengers were transported between Paveletsky Rail Terminal and Domodedovo Airport, and 386,000 travellers were carried along the Kievsky Rail Terminal-Vnukovo Airport route. "The modernisation of rolling stock is one of the measures the company is taking to prepare for the 2018 FIFA Cup. The double-decker Aeroexpress trains make it possible to handle a larger number of passengers even during rush hours. This ensures comfortable travel conditions for the company’s customers during the days that the football tournament is taking place,” said COO Valery Fyodorov. The carrier has purchased eleven trains, seven of which serve the Domodedovo link and four operate on Vnukovo route. New vehicles offer spacious carriages, additional space to place baggage and easily adjustable armchairs. 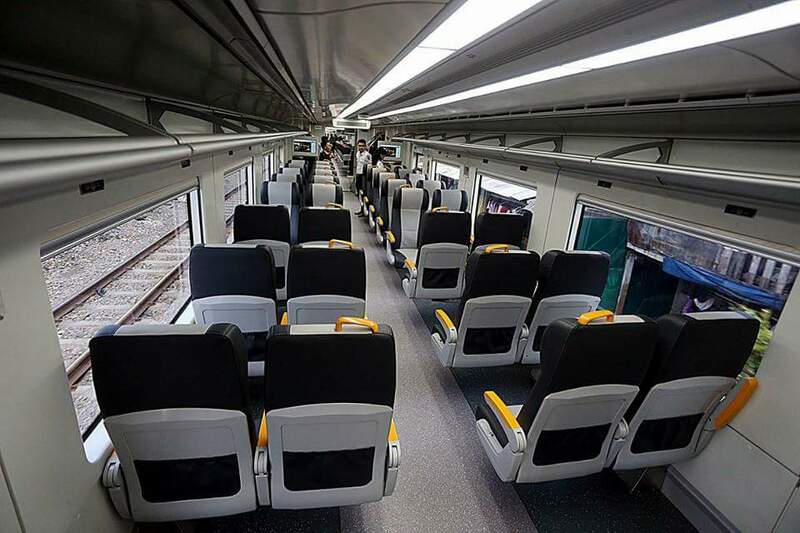 In addition, ​each carriage is furnished with a video system, air-conditioning, sockets, and free Wi-Fi. There is also a special lift for mobility-impaired passengers to move between the train decks. The new double-deck Aeroexpress trains, produced by Swiss Stadler, started running between Kievsky Rail Terminal and Vnukovo Airport on 27 October 2017. The first ride on the Paveletsky-Domodedovo route took place on 22 November 2017. FRANCE: The consortium led by VINCI Construction, together with Spie batignolles, has been awarded a major contract as part of the Grand Paris Express programme. The RATP has selected this consortium to execute works on the future Line 14 South between Olympiades and Orly Airport. The contract, worth almost €400 million, includes excavating a 4.6 km tunnel from Maison Blanche Paris XIII future station and a construction of the new Kremlin Bicêtre Hôpital station. The contract is scheduled to last 72 months. It is estimated 260,000 residents will use the Line 14 South connecting central Paris and Orly Airport. 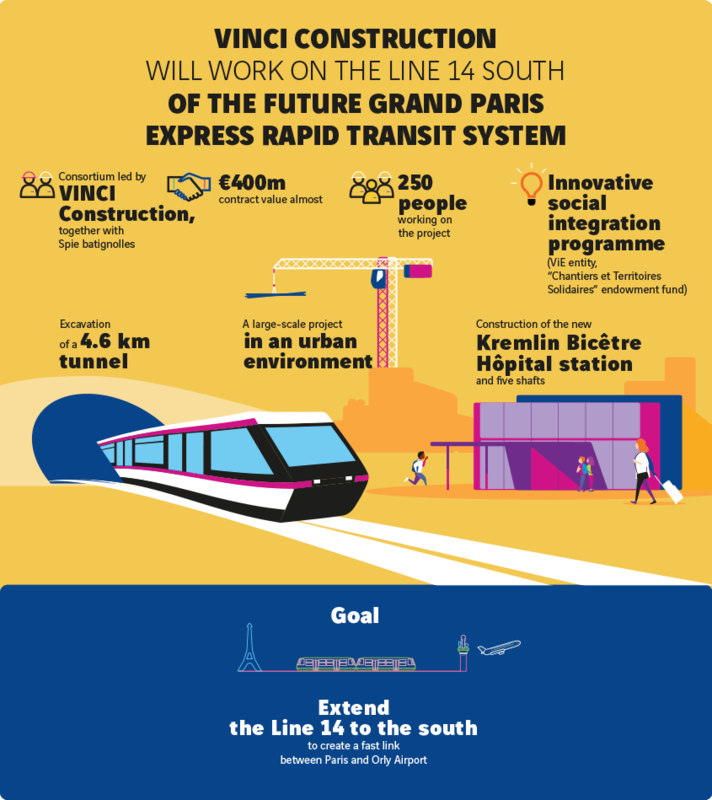 It will also provide connections with metro Line 7, Line C of the Paris RER regional express system, Line 7 of the tram system and Lines 15 South and 18 of the Grand Paris Express rapid transit system. It will create a fast link between Paris and Orly Airport, which is essential for 2024 when the city will host the Olympic Games. USA: Los Angeles World Airports (LAWA) has approved LAX Integrated Express Solutions (LINX) as the recommended developer to design, build, finance, operate and maintain the automated people mover at LAX. The $4.5 billion contract includes milestone payment sfor the design and construction phases, as well as authorizes future payments for operating and maintaining the APM for the contract period. Board of Airport Commissioners has approved an Early Works Agreement with LINXS, valued at up to $42M, which will allow pre-construction activities such as hiring, soil testing, engineering, and furthering design of the APM. The design and build works will include a 2.25-mile, above ground airport transport system connecting the LAX central terminal area to the to-be-constructed consolidated rental car facility as well as six stations and a vehicle maintenance facility. The APM is the centre piece of the Landside Access Modernization Program (LAMP), which also includes a Consolidated Rent-a-Car (ConRAC) facility, Intermodal Transportation Facility-West, and associated roadway improvements. The APM will reduce vehicle congestion in the terminal loop, provide a connection with L.A. Metro's regional transportation system, create new and convenient locations for passenger pick-up and drop-off outside of the terminal loop, reduce emissions, and provide reliable access to the terminals. The people mover project is schedule to be completed in 2023. As part of their proposal, LINXS committed to delivering an environmentally friendly project. Landscape will be drought tolerant using California native plants. LINXS has committed to partner with LAWA in developing opportunities for local small businesses, creation of good-paying career jobs and fostering economic growth. UKRAINE: The Cabinet of Ministers of Ukraine has announced its support of the construction of an high speed rail line linking Boryspil International Airport. The Prime Minister of Ukraine Volodymyr Groisman stressed that there is a growing demand for air transport service but no convenient access by public transport to and from country's biggest airport. "Boryspil Airport serves 7-8 million passengers annually but there is no convenient way to get travel between the airport and Kiev. This is why a technical solution was found to solve this problem in a short time and should be implemented by the end of the year," the Prime Minister said. 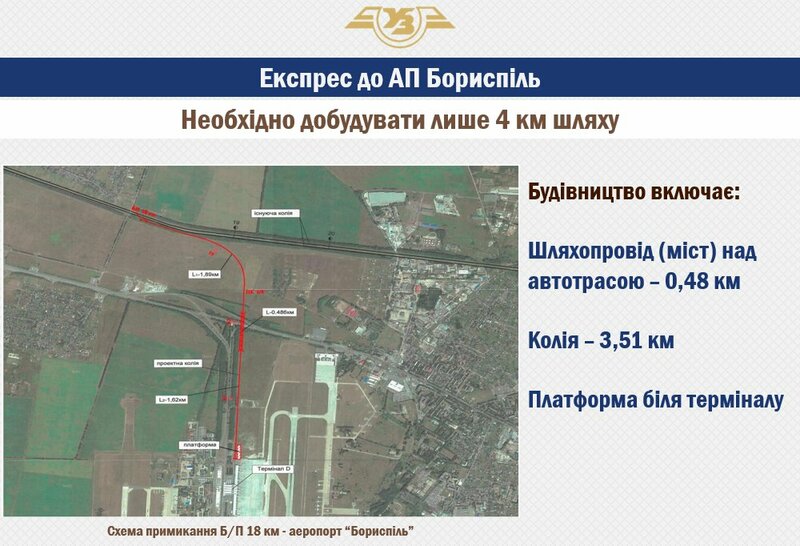 According to the Minister, the construction for the 3.5km rail spur to connect the airport should start by June and be ready for passenger services by the end of the year. The coordination of the project will be carried out by the Vice Prime Minister Volodymyr Kustion. 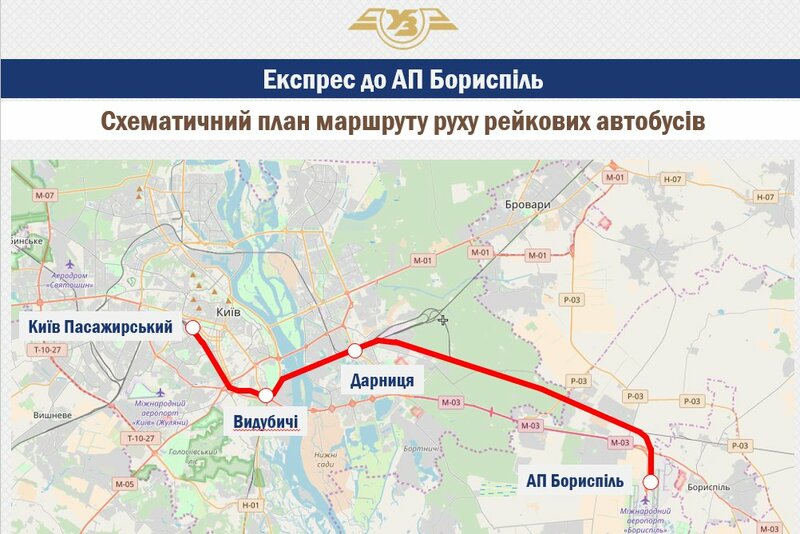 The new airport rail service will run from Kiev Passenger station, via two intermediate stations to Boryspil Airport Terminal D. Journey time from the city centre to the airport will be 35 minutes. PESA will supply the rolling stock able to carry at least 2.67 million passengers a year. The project will cost between $22 to 30$ million. FINLAND: A study to link Helsinki and Tallinn via railway tunnel has been published by FinEst Link project. According to the tudy, the railway tunnel would help create a metropolitan twin-city region of three million inhabitants in the future where people, goods and services could move around easily. 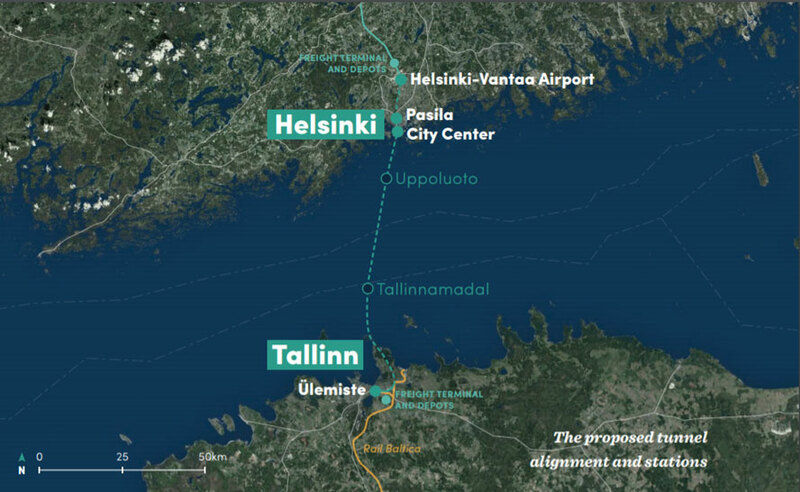 The Helsinki–Tallinn tunnel with travel time of only 30 minutes would enable daily commuting across the Gulf of Finland and connect the rail network from Central Europe via Finland to the Arctic. "Geographically Finland resembles an island and the tunnel would offer a connection to the Central European rail network," says FinEst Link Project Director Kari Ruohonen. The investment cost of the railway tunnel has been estimated at 13–20 billion euros. The tunnel project could be economically feasible by using a public-private partnership model where the private sector finances the building of the tunnel. and an EU grant would be needed to cover 40% of the costs. After becoming operational, the ticket revenues from the trains and tunnel fees would cover the annual operational and maintenance costs of the tunnel. In addition, the train operation requires subsidies. The subsidy from Finland and Estonia is 280 million euros per year for 40 years. After a planning phase, the building and boring of the tunnel could start in 2025 and be built in 15 years. The tunnel would be ready for passengers and cargo in 2040. The FinEst Link feasibility study presents an operational model where at peak hours passenger trains run at 20-minute intervals at 200km/h. The travel time would be 30 minutes and single ticket would cost 18 euros. 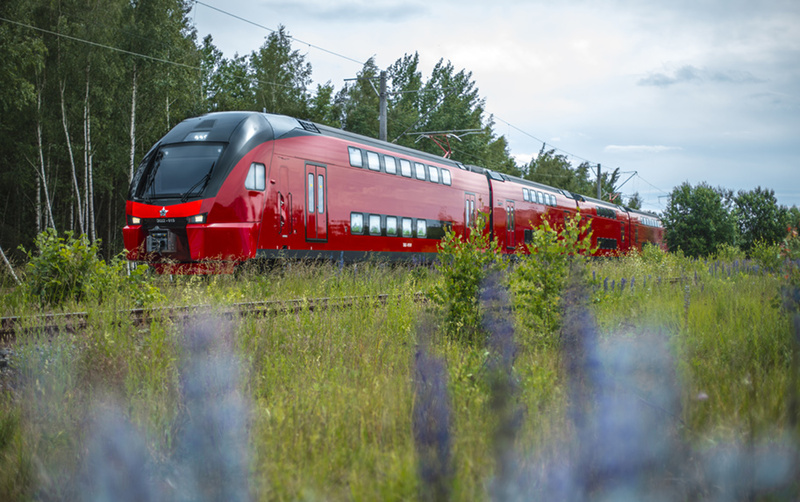 Approximately 40 passenger trains could run between Helsinki and Tallinn daily. According to the study, three station are planned on the Finnish side - Helsinki city centre, Pasila and Helsinki-Vantaa airport. In Tallinn, the tunnel would reach Ülemiste which is a growing commercial area a bit more than three kilometers away from the Old Town. Located close to the Tallinn airport, Ülemiste has a recently opened tram connection to the city center. Finland's Minister of Transport and Communications Berner emphasised the increasing importance of the Arctic region from the viewpoint of both the Nordic countries and the EU. Well-functioning transport and telecommunication connections in turn are a prerequisite for the sustainable development and growth of the Arctic region, she said. The aim now is to evaluate the results of the study in more detail during the spring and reflect on how the possible further work would be implemented and financed. The FinEst Link project is a feasibility study financed by the EU's Interreg Central Baltic programme. The project has been coordinated by the Helsinki-Uusimaa Regional Council. SWEDEN: After 15 years as CEO of A-Train, the company who operates Arlanda Express, Per Thorstenson is retiring towards the end of the year. 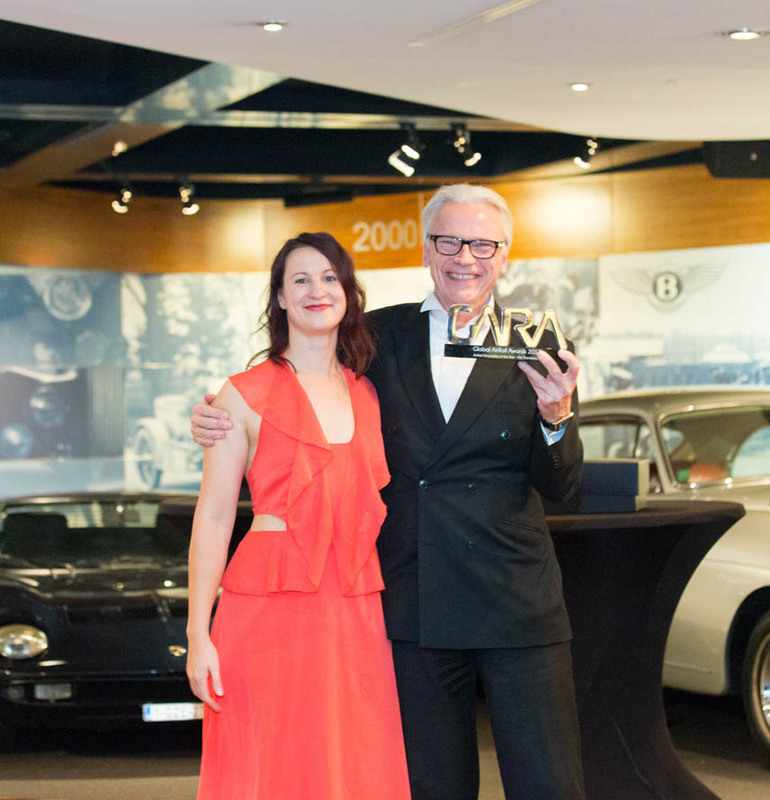 Under his leadership, Arlanda Express has become established as one of the world's most successful, award-winning, airport train companies. The recruitment process to find a new CEO is underway. Arlanda Express is a major feature for visitors to Stockholm, carrying millions of tourists and Stockholmers every year. Under Per Thorstenson's leadership, the company has won many awards for train design, on-board service and the company's commitment to diversity and durability. At the same time, the number of passengers has been steadily increasing on the Arlanda rail link. "Leading Arlanda Express has been incredibly rewarding. Together we have created a company that is very strong, as a brand and financially. Our goal has always been to be leading example for customer service, not only in Sweden, but internationally. It is with pride I can say we have succeeded,” Thorstenson said. The recruitment process to find the next CEO is underway and further announcements will be made in due course. Per Thorstenson will remain as an advisor to the company in a transition period. "Under Per’s exemplary leadership A-Train has developed strongly as a company. It is with great appreciation that we thank him and wish him well in the future,” said Simon Geere, chairman of A-Train. USA: Chicago Infrastructure Trust (CIT) has received four responses to the Request for Qualifications (RFQ) to design, build, finance, operate and maintain the O’Hare Express operating system, Chicago Mayor Rahm Emanuel has announced. The project aims to deliver express service that would take 20 minutes or less to travel from downtown Chicago to O’Hare International Airport (ORD), cutting more than 50 percent off current travel times. The responses demonstrate strong private sector interest in the project to create a fast and convenient option for travel directly from ORD to downtown Chicago. The CIT and the City will now begin to evaluate the statements of qualifications. Upon conclusion of that review qualified respondents will be permitted to continue in the process. The next planned step is issuance of an RFP to qualified bidders. The RFQ specifies that the O'Hare Express Service should include a downtown station, an ORD station and one maintenance facility. Corridors may be above or below surface level. Goals of the project include travel times of 20 minutes or less with a reliable service frequency of at least every 15 minutes for the majority of the day with reasonable premium service fares less than the cost of current taxi and ride-share services. Any proposal must also address how potential conflicts or impacts on existing transportation systems and the environment would be avoided or minimized. Although cost estimates for the project are not yet known, the RFQ stipulates that the O'Hare Express Service will be funded solely by project-specific revenues (like fares or advertising) and financed entirely by the concessionaire. The current total daily number or air passengers traveling between ORD and the Chicago Central Business District is approximately 20,000 and is forecast to grow to at least 35,000 daily air passengers in 2045. CANADA: CDPQ Infra has announced the official launch of its project to build largest public transportation network in Greater Montréal in 50 years: the Réseau express métropolitain (REM). The REM is a new, integrated 67-km public transit network intended to link downtown Montréal, the South Shore, the West Island (Sainte-Anne-de-Bellevue), the North Shore (Laval and Deux-Montagnes) and the airport through an entirely automated and electric light rail transit (LRT) system. Journey from the airport to downtown will take 20 minutes, with trains running every ten minutes. Construction of the system will start in April and it is estimated the passenger services will begin in summer of 2021. Group NouvLR has won the infrastructure engineering, procurement and construction contract and Groupe des Partenaires pour la Mobilité des Montréalais (PMM) will provide the rolling stock and systems as well as operation and maintenance. CDPQ Infra is a wholly owned subsidiary of Caisse de dépôt et placement du Québec and is responsible for developing and operating infrastructure projects, including the Réseau express métropolitain (REM). “Today we can confirm that construction of the Réseau express métropolitain will begin in April. The REM is now a reality,” stated Michael Sabia, President and Chief Executive Officer of Caisse de dépôt et placement du Québec. “Since the very start of the project, less than two years ago, we have been meeting with the public, municipalities, transportation companies, and other stakeholders. We listened to their ideas and suggestions, which turned into innovative solutions and continuously improved our project." The dialogue established with all stakeholders will continue throughout the project to ensure that the REM integrates harmoniously in the various communities. To that end, a project management office will be created to oversee the planning of all future work and its coordination with the partners. A community relations office will be created to maintain close communication with the public. An advisory committee will also be set up with the City of Montréal to discuss urban planning around REM stations. “We think it’s critical for the REM to contribute to the vitality of neighbourhoods by integrating harmoniously with innovative urban planning. Today we’re proposing an architectural concept based on this approach, and with the support of our partners and communities, the REM will be rooted in the metropolis. This is a major project for Greater Montréal residents, who are important to its success,” concluded Mr. Sabia. In parallel with the REM’s planning and development, la Caisse identified additional attractive investment opportunities for its infrastructure portfolio. Three shared-use, existing infrastructures, namely the Mont Royal tunnel, Central Station (rail infrastructure) and the Viaduc du Sud, have been or will be acquired and grouped in a new subsidiary of la Caisse (InfraMtl.co) to ensure continued public use. This subsidiary will maintain these infrastructures shared with current and future operators. It will also generate a stable commercial return comparable to that of assets already in the portfolio. SNC Lavalin Grands Projets Inc.
LATVIA: RB RAIL AS has announced a tender for the detailed technical design of the railway line in Latvia for sections Upeslejas – Riga Central Station, Tornkalns – Imanta, Riga Airport – the Misa river, covering approximately 57 km of the railway line. According to the Senior Engineer of RB RAIL AS Jean-Marc Bedmar, the tender marks the preparation process in all three Baltic countries with many railway design tenders to be carried out in Estonia, Latvia and Lithuania before 2022.
evaluation of the proposals submitted by candidates which were invited to submit a proposal and award of rights to conclude a contract. The objective of this tender is design and design supervision services for the construction of the mainline section through Riga. More information about competition including the specification of the procurement can be found on http://railbaltica.org/tenders/. Applications shall be submitted electronically using the tools offered by the E-Tenders system available at https://www.eis.gov.lv/EKEIS/Supplier/Procurement/9947. The first detailed technical designs of the railway line in Estonia (from Pärnu to Rapla) and in Lithuania (from Kaunas to Ramygala) have been announced in December. The submission deadline for both tenders has been extended to February 21, 2018. UK: A Scottish comedy duo, the Krankies went undercover to challenge Heathrow Express's team, as a third of parents bend the truth to get reduced fares. Heathrow Express offers free travel for kids aged 15 years and under. "We are a nation of fibbers when it comes to buying tickets for our children, with over a third (38%) of parents admitting they have tried to beat the system in order to get discounted fares," Heathrow Express said. British parents have today admitted they have gone to extreme lengths to get cheaper fares, with almost one in five (18%) admitting to having either hidden their child from a ticket inspector, told their child to look and sound younger or asked their child to pretend to be asleep. One in 10 parents have gone as far as to get their children to rehearse lines to claim they are younger than they are, before heading to the ticket office. To celebrate the hilarious lengths parents go to, Heathrow Express who conducted the research, have partnered with iconic Scottish comedy duo, The Krankies, in a new video which sees Wee Jimmy Krankie go undercover to blag a free ticket on the Heathrow Express. The research also reveals that parents are likely to twist the truth on average four times in a lifetime to get discounted tickets, with dads more likely to encourage their child to look younger to get cheaper tickets than Mums. Out of those parents that have never claimed their child was younger, 38% have been tempted to do so, whilst more than a quarter of the nation (26%) think it’s totally acceptable to bend the truth to get cheaper fares. SPAIN: The Minister of Public Works Íñigo de la Serna has presented the new Renfe Smart Train concept Eva, a product that will combine high speed, digitalisation, flexible & personalised fare system, and a door-to-door service. The high speed rail service will operate five services a day between Madrid Atocha and the new El Prat de Llobregat intermodal hub near Barcelona Airport, with one intermediate stop at Camp de Tarragona. Renfe's Madrid-Barcelona high speed route is about to celebrate its 10th year anniversary and the new concept Eva will optimise the high speed product to suit more travellers and complete Renfe's product portfolio in commercial services. According to the Minister, Eva will be a low cost high speed service, a Smart Train designed with new technologies in mind and aimed for the sector of the population that still today choses to drive - small groups, young people and families. Eva will be 20-25% cheaper than the regular high speed rail service and will have only a digital ticket which will also integrate other transport modes such as taxi, commuter rail, metro, bus or rental car. Biometrics will be used for passenger identification. 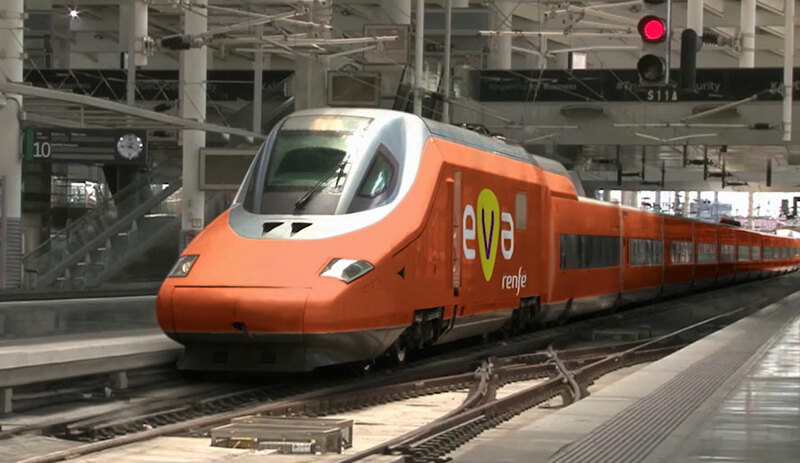 Eva will offer a 100% connected trip with wifi, journey location and passenger information services via augmented reality. In addition the trains will be designed to adapt to different types of travel, with spaces for mini-groups of two, four or six people, special assistance passengers and more areas to work. The El Prat station is predicted to open in 2019 and will also offer better opportunities for modal integration with air as well as park-and-ride facilities. RUSSIA: Moscow's airport express rail operator Aeroexpress and the local ride-share company BelkaCar have completed their first joint campaign with over 800 air-rail passengers using a promo code for their first ride with a discounted fare. Aeroexpress passengers who have booked their rail ticket through the website or via the mobile app received a 500 roubles discount to travel via Moscow's leading car-sharing service. “Thanks to our cooperation with BelkaCar, we were able to offer passengers the fastest and most beneficial way to reach the airport right from their home or office. During the New Year holidays, this was particularly in demand,” commented Valery Fyodorov, Chief Operating Officer of Aeroexpress. During the campaign, which ended on 11th of January, passengers purchasing Aeroexpress e-tickets received a code to claim the discount with the car-sharing service. On 25th of January BelkaCar has announced that they are extending the partnership until 8th of February. According to BelkaCar, the goal of the partnership is to help alleviate the transportation problems around the city, especially during the busy New Year's celebrations period. UK: A private sector venture Heathrow Southern Railway Limited (HSRL) has agreed terms for a major investment with a global infrastructure firm AECOM. HSRL intends to create direct rail access to Heathrow Airport from the south by building 8 miles of rail infrastructure alongside the M25 motorway from the west end of the Terminal 5 station. A connection to the existing Windsor-Staines line enables direct trains between Heathrow and London Waterloo via Clapham Junction, Putney, Hounslow, Twickenham, Richmond, Staines and other intermediate stations. A further connection to the existing Virginia Water-Weybridge line provides a new, direct link between Heathrow and Woking. The project could dramatically improve connectivity between Surrey and London for commuters, with new through trains between Basingstoke/Guildford and London Paddington via Woking, Heathrow and Old Oak Common (for HS2 and the Elizabeth Line). “The funding from AECOM will be used for developing the project to the next stage, which will include further stakeholder engagement – vital given that our proposed new rail connection will benefit many communities in the region. This is a significant step forward for the Heathrow Southern Railway, which will be fully financed privately – at no net cost to the taxpayers – and could be operational by as early as 2024,” HSRL Chair Baroness Jo Valentine said. INDONESIA: Railway operator PT Railink has officially launched the new service between Jakarta and the Soekarno-Hatta International Airport on 26th of December 2016. The 34km rail line transports passengers from Jakarta to the airport in 55 minutes. According to the local press, the same journey by road would take two to three hours or more. 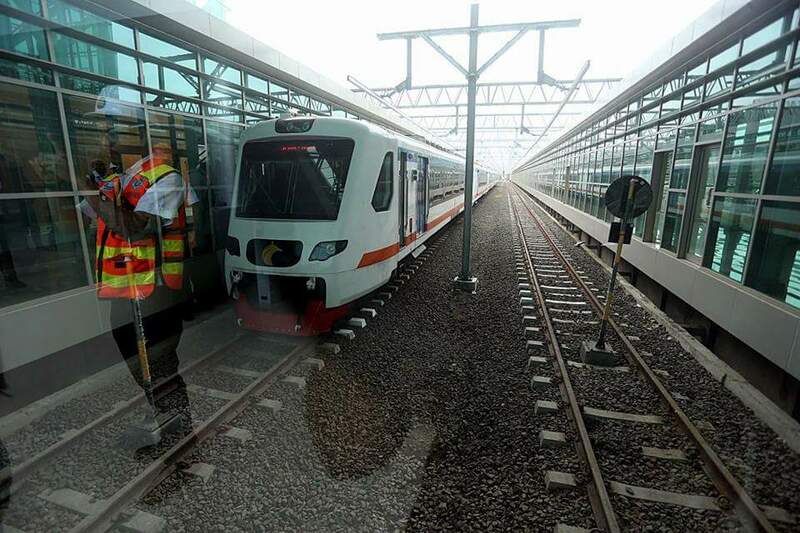 Once fully operational the line will have a total of five stops and stretch 37km, most of which will be on existing tracks already in use by greater Jakarta's commuter lines. The Soekarno-Hatta station is linked to the airport's three terminals with the recently launched Skytrain, an automated people mover service. Meanwhile, work is underway to connect some of the stations in Jakarta with other public transportation -- including the existing commuter lines and TransJakarta bus system, as well as the metro and light-rail transit networks that are currently under construction. It is Indonesia's second airport railway, with the first connecting Kualanamu Airport in North Sumatra with Medan, the provincial capital, that began operation in 2013. Both projects are owned by Railink, a joint venture between state-owned railway operator Kereta Api Indonesia and airport operator Angkasa Pura II. According to Nikkey Asian Review, Railink is mulling a third railway project that would connect Yogyakarta Province, a tourism hub on Java island, with a planned new airport.